An apparent suicide bombing killed many people outside a police complex in eastern Pakistan on Tuesday, officials said, in a rare attack on the relatively peaceful city of Lahore. 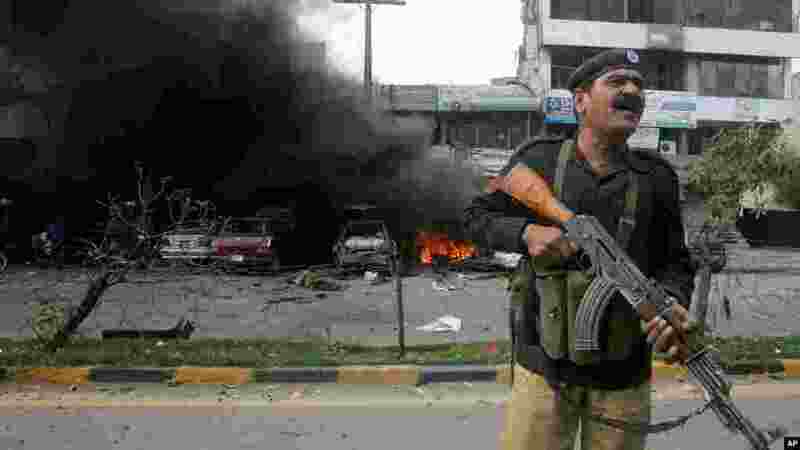 ۵ A Pakistani police officer stands guard at the site of a bombing in Lahore, Pakistan, Feb. 17, 2015. 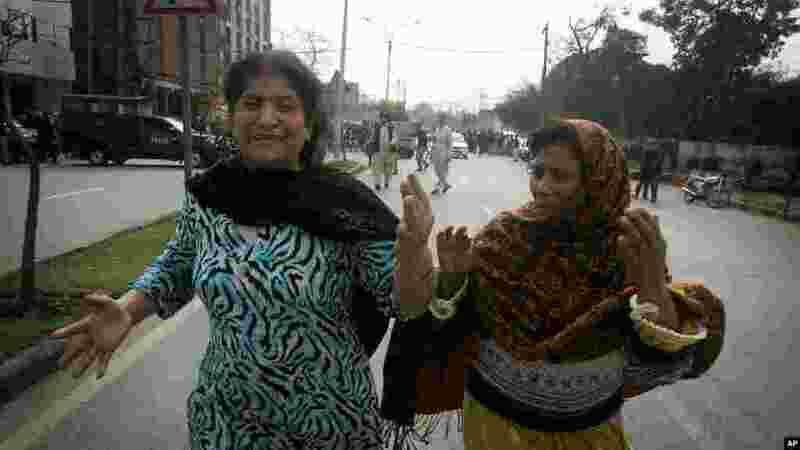 ۶ Pakistani women run following an apparent suicide bombing in Lahore, Pakistan, Tuesday, Feb. 17, 2015.